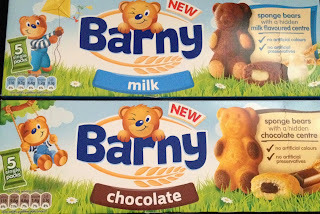 A couple of weeks ago I was sent a couple of packets Barny Bear Sponge cake snacks as part of Britmums Little Adventures Linky Challenge. We were sent one of each flavour, milk and chocolate. These cute little bears come individually wrapped and contain no artificial colours or preservatives, so are perfect as a snack or as part of your little ones lunch time meal. Now Britmums did say on the letter that I should try them too and I always do as I'm told, I have to admit I could have quite happily eaten more than one, they were very yummy in my tummy!! As it is Autumn and the leaves are falling from the trees, after eating our Barny snacks to get us energised, I decided to Gracie on a little leafy adventure. Wellie boots at the ready, we took off stomping through the big piles of leaves, listening to the crunching sounds as we went. We looked at all the different colours, shapes and sizes of all the leaves that we found. Gracie was even able to tell me the colours that she saw, there was a variety of red, yellow, orange and green. Gracie decided that she would like to take some leaves home with her and I suggested that we could make some nice pictures with them, so the adventure carried on. Once home, I got out crayons, paper and cellotape and together we made some lovely leafy art. We had a mixture of leaf collages and leaf rubbings in an assortment of colours, we ended up with leaves left over because we ran out of paper!! And of course what better way to end the adventure than by sharing another scrummy Barny snack with her sister's. You can see from the first picture that Elise was surprised to find what was hidden in the centre, mmmm chocolate. What kind of adventures do you and your little ones go on when you have the chance?? What a lovely little adventure that ended with some leaf art! 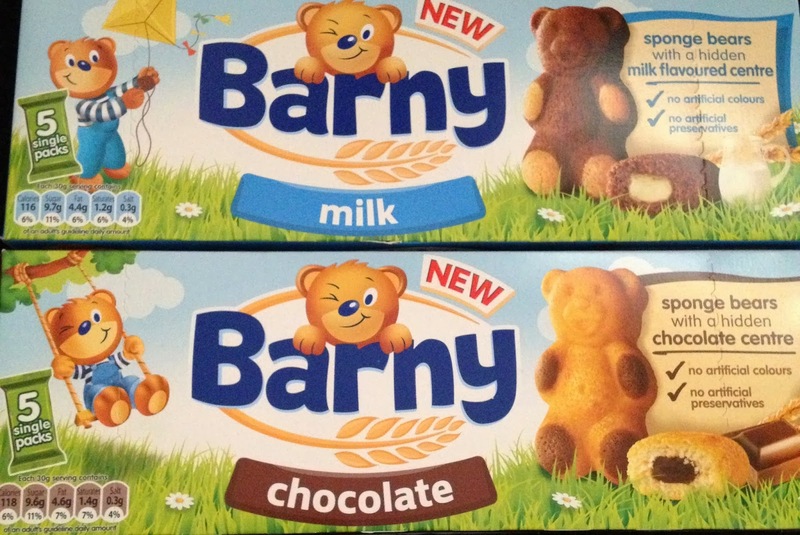 I can see that the girls enjoyed their Barny's and how nice that that he has inspired some outdoor play. Thanks for linking up and sharing with Country Kids. Lovely autumn activities, and the Barny's look good!